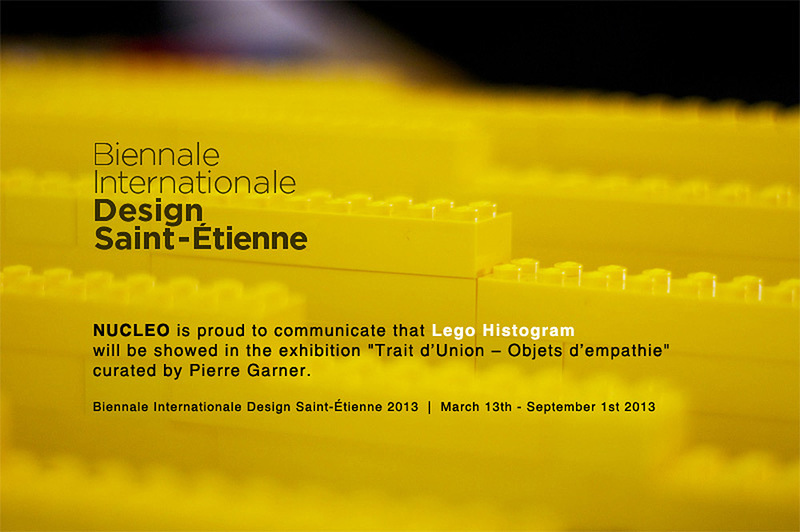 Nucleo is proud to communicate that Lego Histogram will be showed in the exhibition “Trait d’Union – Objets d’empathie” curated by Pierre Garner and Magali Moulinier. The objective of the Traits d’union exhibition is to show that the designer has to pay attention to the affective relation between him and the user. The object that he designs is not a passive entity. It is a medium, a link, endowed with an empathetic potential displayed through four themes.